The oral reply of the European Commission to Free Morgan Foundation Petition 0853/2017 was clear. There is no need to change the regulations as requested by the petitioner. In a previous petition in 2012 the Commission already stated that in Morgan’s case all the European Regulations were followed strictly. In majority the MEP’s present were ready to close the petition and reject the FMF request, the 8th (legal) defeat for the activists in the last years. The thousands of cases in the last few years have not shown any issues with the implementation of the regulations or the template of the forms. The president of the commission resubmitted the petition to the coordinators of the political parties in for finalization in July. Earlier, in May 2012, also regarding Council Regulation 338/96, the European Commission replied that the authorities of the EU Member States in question (Spain and The Netherlands) where well in charge of the correct implementation of EU rules. “Council Regulation (EC) 339/97 and the corresponding implementing regulations is repeatedly interpreted wrongly by the Free Morgan Foundation (FMF) . 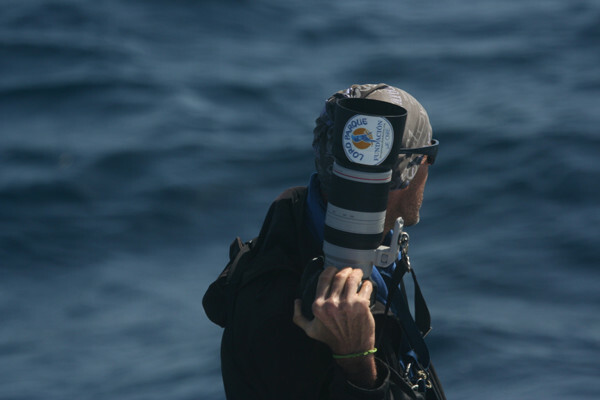 The prohibitions of the regulation are very clear in article 8 (1) of the regulation and it is also clear in article 8 (3) that if any of the exceptional circumstances occur, the prohibitions do not apply” says Dr. Javier Almunia, Director of Loro Parque Fundación. A vision that is shared by a vast majority of CITES managing authorities and legal experts, as wells as MEP’s. Many now see the attempts of minority activities groups such as FMF as of waste of public and private funds. 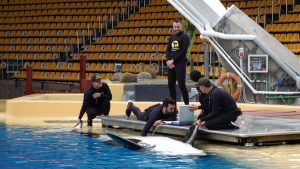 Loro Parque, the current custody holder of the orca Morgan, was present in Brussel to provide all relevant information to the Petitions Committee The orca Morgan has been in the custody of Loro Parque since 2011. The decision to transfer her to the spacious and fully equipped facilities of OrcaOcean in Loro Parque was tried and tested in Courts in Spain and The Netherlands, resulting now 9 times in defeat for the FMF. Loro Parque is supported by all relevant administrative bodies (CITES in The Netherlands and Spain, Zoo Inspections in Spain and the competent authorities on animal welfare which reject the claims and misinterpretations of the CITES permit by FMF now for the 9th time. The orca Morgan is expected to give birth any time after the summer, according to estimates by Loro Parque’s veterinarians. 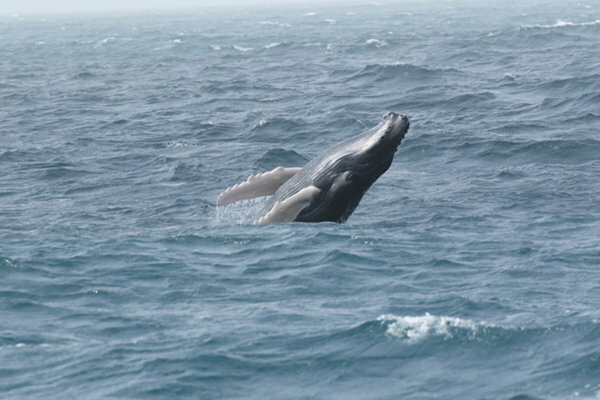 She is now in the final stages of her pregnancy, which will culminate in the arrival of a single calf. This gestation, as well as the birth and upbringing of the new animal, is a challenge for the experts at Loro Parque, confirmed Dr. Javier Almunia, Director of Loro Parque Fundación. “All the experience there is, worldwide, on orca births is reduced to about 30 births, but never, in a single case, has it been with a deaf orca,” he says. “For us, it’s a totally different situation. We have had deliveries of other orcas, but in this case we have to be much more prepared for what may happen, because the information we have is minimal,” he added. 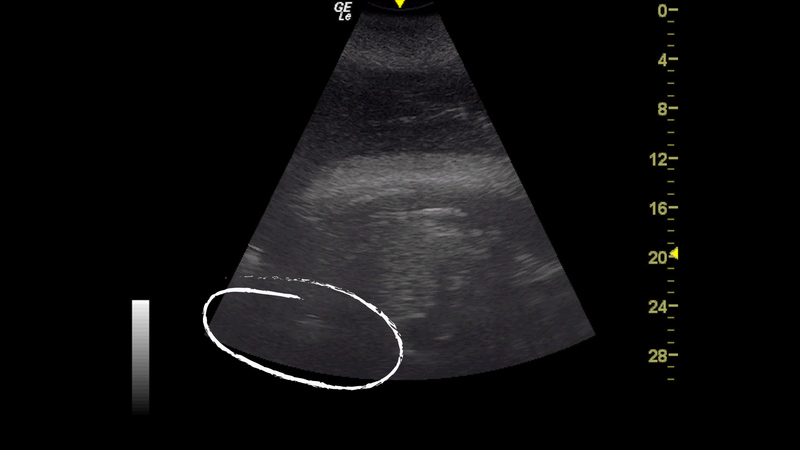 The care and standard medical training routines of Loro Parque’s orcas have been intensified with Morgan during the months of gestation, which has allowed for an exhaustive monitoring of the foetus and continuous observation of its evolution. “We do ultrasounds almost twice a week with a high frequency system that has no effect on the foetus and causes no discomfort,” explained Dr. Almunia. Loro Parque has everything ready to welcome Morgan’s calf and to face the different situations that could arise from its birth. Loro Parque is an accredited zoological facility under the European Zoos Directive and follows strictly all the applicable laws and regulations in the zoo practice. 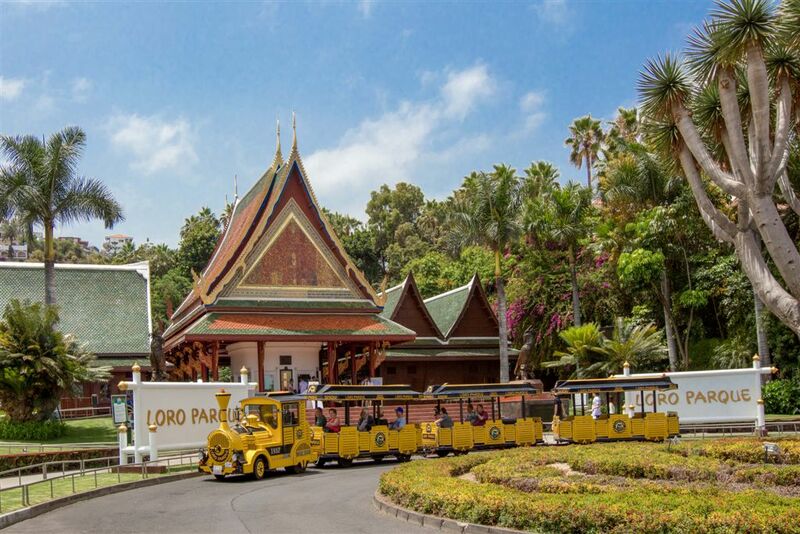 Loro Parque is inspected yearly by the competent authorities. Moreover, Loro Parque applies the highest standards in killer whale management as accredited by the European Association of Zoos and Aquaria, or the European Association for Aquatic Mammals; and also by independent organizations like the American Humane, ABTA, Biosphere Parks, etc. In 2017, Loro Parque was recognized by the Trip Advisor’s Travel Choice Awards as the Best Zoo in the World. 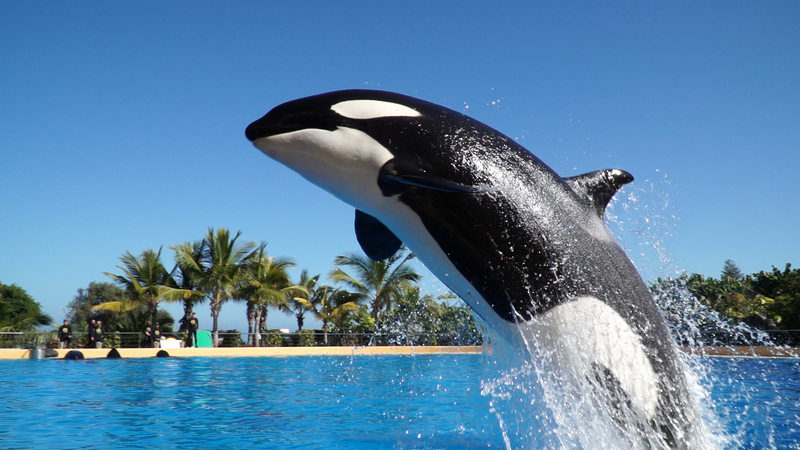 Loro Parque has confirmed that they expect the orca Morgan to give birth any time after the summer, according to estimates by the Parque’s veterinarians. Morgan, who arrived at the zoological park in Puerto de la Cruz in 2011 after being found dying off the coast of the Wadden Sea in the Netherlands, is now in the final stages of her pregnancy, which will culminate in the arrival of a single calf. 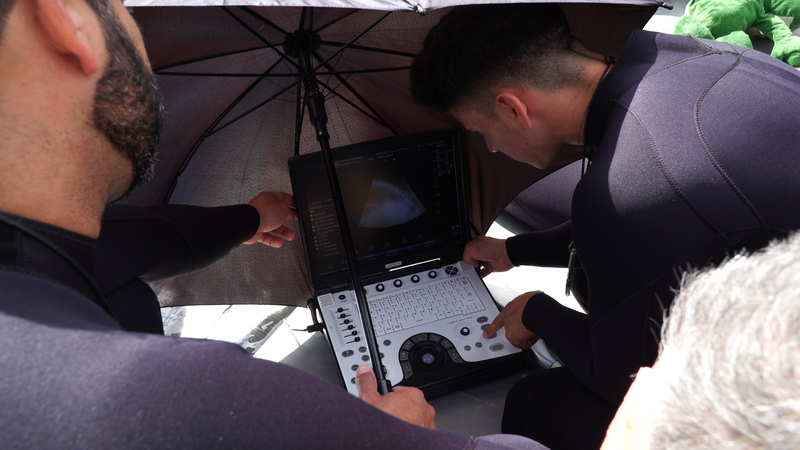 These ultrasounds have allowed veterinarians to see that the foetus is very well positioned, that its heart is beating, and that everything is going as expected, so the Parque staff is now getting prepared to know when the exact time of birth will arrive. 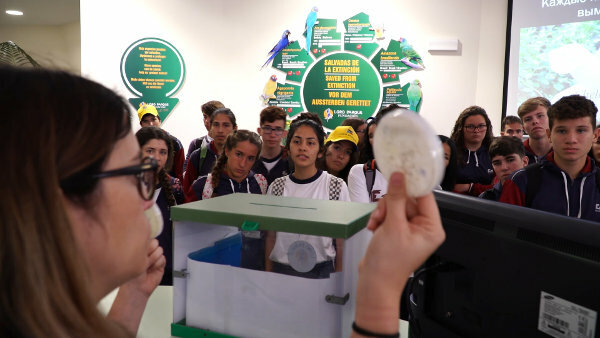 “And we are also getting everything organised so that, in the event that anything goes wrong, we can have everything ready to intervene on the spot,” said the Fundación’s Director. This is particularly relevant because, in the wild, 50 per cent of orca calves die before their first birthday, and, apart from that, one must take in consideration the handicap of Morgan’s deafness. As this is the first time that this circumstance has occurred in an orca under human care, experts face some doubts about Morgan’s possible reaction to the birth of her calf, as she may not be able to care for it herself. That is why it is necessary to have a formula ready to feed the new specimen with ‘mother’s milk’, as well as to try to pump milk from Morgan in order to get all the antibodies it will need, especially during its first year of life. The team of experts at Loro Parque has been working over the past few months on the preparation of a multitude of materials for the development of the calf after birth, such as an application that allows them to check whether the baby is breathing correctly after its birth or whether it’s nursing from the correct side and with the optimum frequency so that the trainers and vets will know if it’s necessary to intervene. Thus, thanks to the knowledge and experience of its team of experts, Loro Parque has everything ready to welcome Morgan’s calf and to face the different situations that could arise from its birth. Once again, Loro Parque, the world’s best zoo according to TripAdvisor, is proud to witness the progress of the animals that inhabit it. 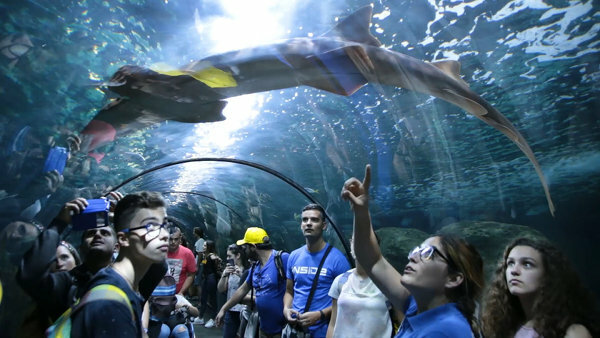 On this occasion, the Parque is celebrating the birth of new young Sandbar Sharks, which have been received with great joy by the Aquarium team. Castiñeiras, a first-time Mum, and Gara, a seasoned second-timer (her first offspring were born in 2016) both of whom now live in Poema del Mar – have become mothers. The babies are another example of what has been achieved at this wildlife conservation centre for this species of shark and are a sure sign of animal welfare. The latter is the main reason why the births are considered a success. The Sandbar Shark, or Carcharhinus plumbeus, is a species that, according to the International Union for the Conservation of Nature (IUCN) and its list of endangered animals, is in a state of vulnerability worldwide. The Sandbar Shark is not very fertile and therefore overfishing poses a risk to the species. 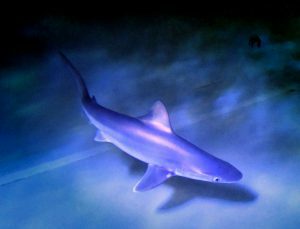 It’s also valuable within the shark fishery industry, as it’s one of the largest coastal sharks in the world. Females can reach between two and 2.5 metres in length and males can reach almost two metres. These animals are quite long-lived, as they can live up to 45 years. They reproduce only once every two years and the gestation period is between eight and 12 months. Another distinctive feature is that they are ovoviviparous; the embryo develops inside an egg but, at a given moment, it’s released from the egg inside the mother’s womb and, when it is born, the baby’s body comes out. Its name derives from the Greek karcharos, meaning sharp’ and rhinos, meaning nose – that is, sharp-nosed fish. Plumbeus is Latin for lead, a nod to the grey colour of the animal. The team of professionals in this area has put all its effort into taking care of every detail throughout the process which finally has reaped its rewards. The recreation of natural light during the day, moonlight during the night, the adaptation of the water temperature according to the seasons, the control of food and even the night watches during childbirth are just some examples of the work that has been carried out. Later on, the training phase will be started, so that when they are handled for weighing, measuring or clinical testing, they can do so voluntarily and without undergoing any kind of stress. Throughout the entire process, the team gets to know each individual closely and claims that, like every animal, each has its own personality. Thus Loro Parque reinforces its work with programmes for the protection and reproduction of endangered species. 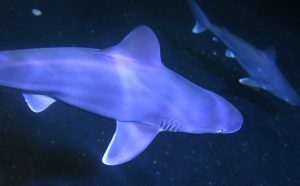 And, in addition, through these ambassadors of their counterparts in the wild, they want to underline the beauty of this animal and raise awareness about the condition in nature of all sharks in general, since the list of endangered species includes 11 species of sharks, and it is estimated that 100 million die each year as a result of human consumption. That is why the work of wildlife conservation centres, such as Loro Parque, is very important because if we do not change this situation, after 400 million years of inhabiting the Earth, they are facing certain extinction. Animal rights activist Ingrid Visser constantly doesn’t understand the CITES permit and the regulations of this institution especially the regulation 338/97 that transposes the CITES Convention to the European system. Her interpretation is completely wrong – she already failed on eight occasions in front of different administrative and judicial bodies in the Netherland, who all rejected the claim of her and her Foundation. Now she aims to talk to the EU Parliament’s Petitions Commission and present it again. Of cause, she wants money to do that and a campaign was started to get money from those, who apparently don’t know that Free Morgan Foundation was never able to clarify how the breeding of a species in Annex A in a zoo can be harmful or negatively affect the conservation of the species. In any case, the existence of specimens under human care reduces and limits the future need for captures of specimens for scientific use, which is undoubtedly beneficial for the species. Therefore, the breeding of Morgan, or any other species of Annex A cannot contravene Article 338/97 or the CITES Convention. The main argument, which is repeated over and over again, can be summarized in one sentence: The EU has not adequately transposed the regulation 338/97 in the forms of the regulations 865/2006 and 792/2010. Visser and her collaborators from the animal rights industry claim the preprinted forms do not reflect the strict prohibitions of Regulation 338/97. Actually, this is a misinterpretation and bases on (intentional?) misunderstanding by the Free Morgan Foundation. The activist act as if they wouldn’t know the fact, that the prohibitions of the regulation are very clear in article 8 (1) of the regulation, and it is also clear in the 8 (3) that if any of the exceptional circumstances occur, the prohibitions do not apply. The radical animal rights activists persist in interpreting the exceptions to the application of regulation 338/97 as conditions of use, which are also exclusive. When the Free Morgan Foundation has exposed this interpretation to the CITES Management Authorities they have replied that it is wrong. So, Visser and all those, who collect money, seem to know that they are wrong, they heard it from CITES, many judges and experts again and again. They never gave this information to their followers and donators, at least as far as we know. That’s why there are still people donating to this untrustworthy foundation. Some could say, these people are betrayed, because Visser and the animal rights industry never told them the truth, but we want to let you make your own decision and would like it if you’d share it with us in the comments. Loro Parque, the best zoo in the world according to TripAdvisor, has been selected for the 77th WAZA (World Association of Zoos and Aquariums) conference to be held in 2022. 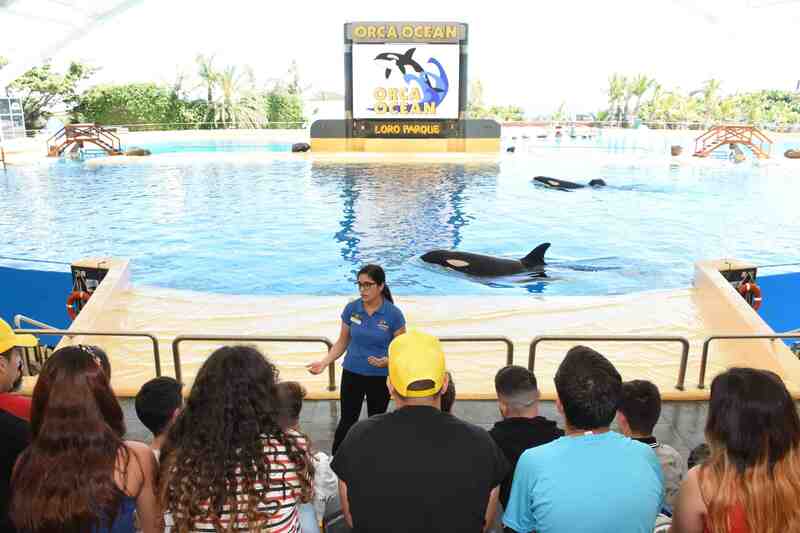 The association, which has more than 300 members made up of the world’s most renowned zoos and aquariums, including Loro Parque, organises this event every year with the aim of exchanging knowledge and experience among experts in the field to continue contributing to the conservation of wildlife. WAZA announced its decision on Wednesday, May 9, in a statement about its event-planning. In essence, it’s a unifying organisation for the global zoos and aquariums community that guides, encourages and supports them. It does so with a focus on animal care and welfare, environmental education and global conservation. Its main objective is for everyone to optimise their contribution to the conservation of life in nature. To conclude its resolution, the association made a selection among the proposals received from all the zoos and aquariums members, from Asia, North America, Africa and Europe. To this end, and prior to the aforementioned proposals, a discussion session was held in Antwerp. Finally WAZA chose the Moscow Zoo to host the 76th WAZA Conference in 2021, and Loro Parque, to host the 77th WAZA Conference of 2022. “Loro Parque is very happy to have been chosen to host the 77th Annual WAZA Conference in 2022,” said Wolfgang Kiessling, President of Loro Parque. “This major event will allow us to emphasise the importance of zoos and aquariums in preventing the extinction of wildlife. One of the examples, which demonstrates the extent of the contribution to this cause, is the common knowledge and experience of zoos in breeding endangered animals, offering many species the only chance they have for survival” he said. WAZA’s Executive Director, Doug Cress, also commented on the decision “The Moscow Zoo and Loro Parque presented incredibly strong offers to organise a conference in the future and, as our conference grows each year, we look forward to being received by these two outstanding organisations.